A passion for cooking is in the DNA of Thapanda Shruthy Ganapathy. 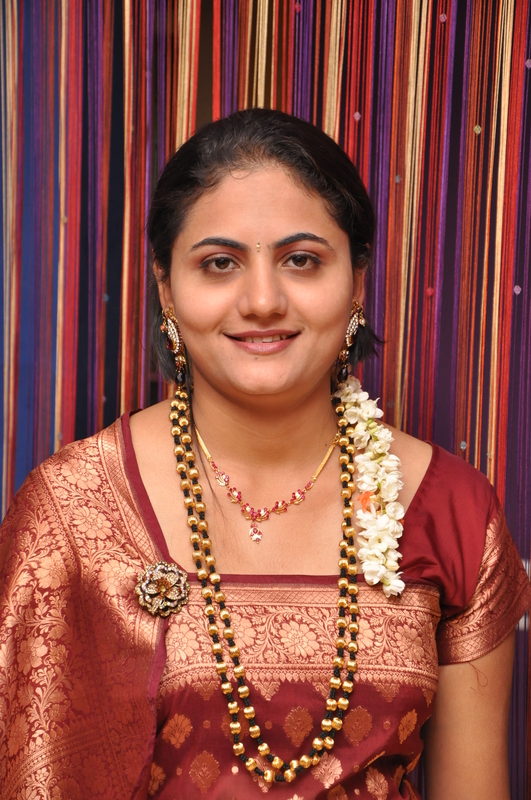 She draws inspiration from her mother, Chovanda Rathi, who caters traditional Coorg snacks for functions. She holds a Masters degree in Psychology. Shruthy currently lives in Cameroon, where she takes orders for cakes, cookies and desserts. 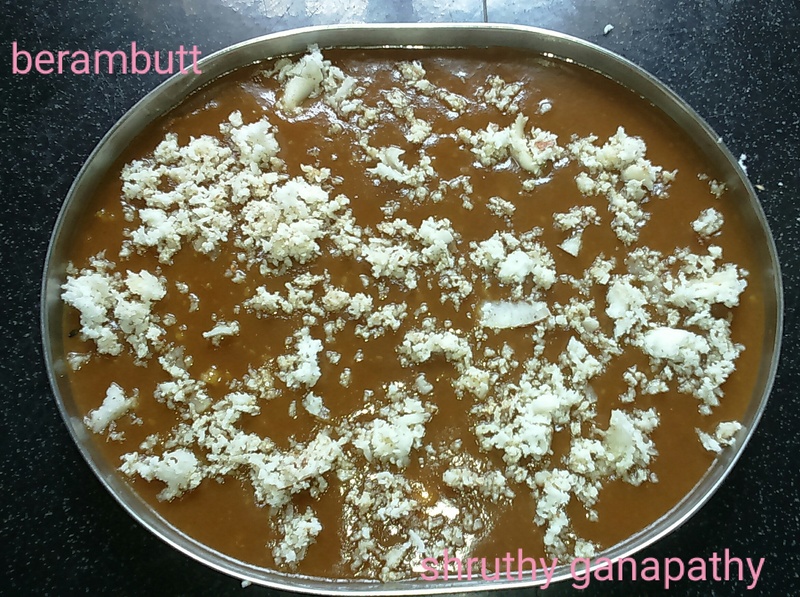 Shruthy shares two recipes – Berambutt and Thambutt, traditional Coorg sweet dishes especially prepared during the harvest festival of Puthari. Thambutt podi (powder) is the basic ingredient. In a pan or griddle, roast the par-boiled rice, on a medium flame, until it sputters and the colour changes to dark brown. At the end, add methi and cardamom seeds, and put off the flame, Allow to cool a little, then make a fine dry powder. You can store the powder in a dry airtight container. In saucepan make syrup with water and jaggery. Let it boil, keep stirring until you get string consistency. To this, add sesame and grated coconut, then immediately start adding the thambutt podi, a little at a time. Keep stirring until it reaches a firm but spreadable consistency. This can now be decorated with grated coconut and allowed to cool . Berambutt is ready to taste. In sauce pan make syrup with water and jaggery. Let it boil, keep stirring until you get string consistency. 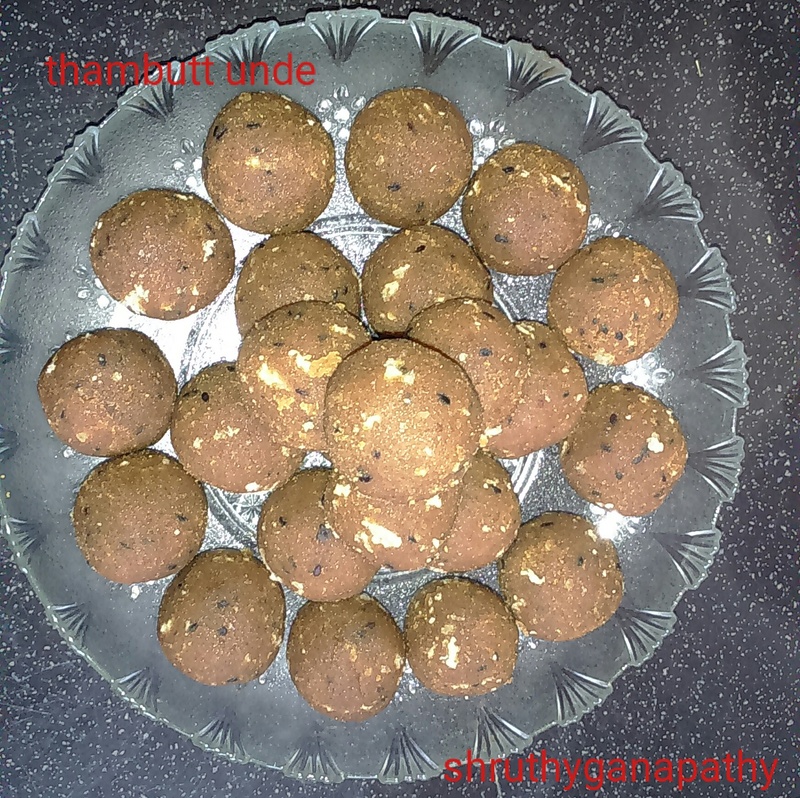 To this add sesame, grated coconut and fried channa dal. Stir well, then immediately begin adding podi a little at a time, and keep stirring until it becomes a thick dough. At this stage you can add ghee to taste. Make small balls of the dough and allow to cool. Tasty thambutt undé is ready.